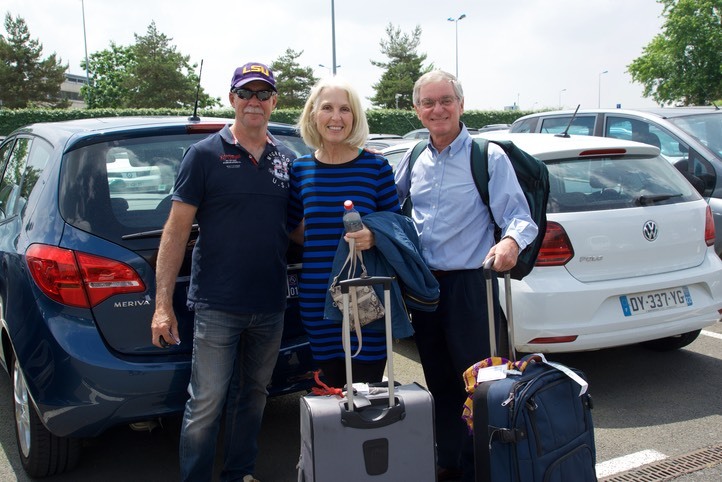 When Cathy and Jim Blackwell said they wanted to join us in France for some sailing we were somewhat careful about our plans. In fact we had in place Plan A, B and C as to how we would move Katherine and get Cathy and Jim back onboard to enjoy the harbours that we were visiting. Our guests were to say the least non sailors. Previous experiences had seen Cathy sea sick without the vessel leaving the dock! 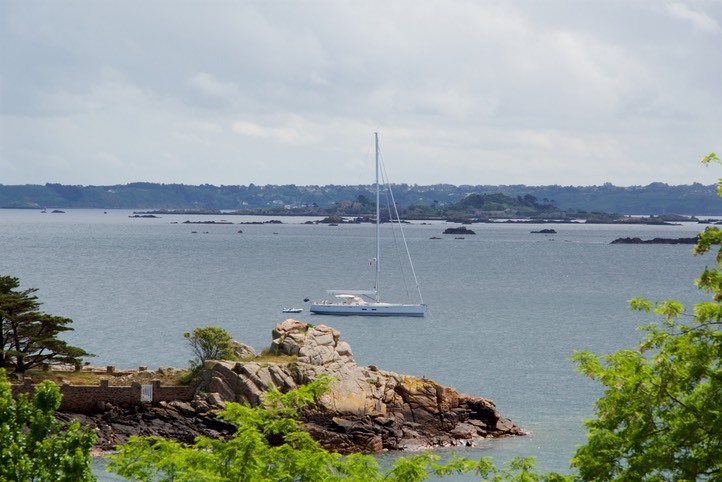 We are so pleased to say that equipped with Transform Scop patches and attitude we never had to revert to any other plan than to enjoy the experience of sailing Brittany. 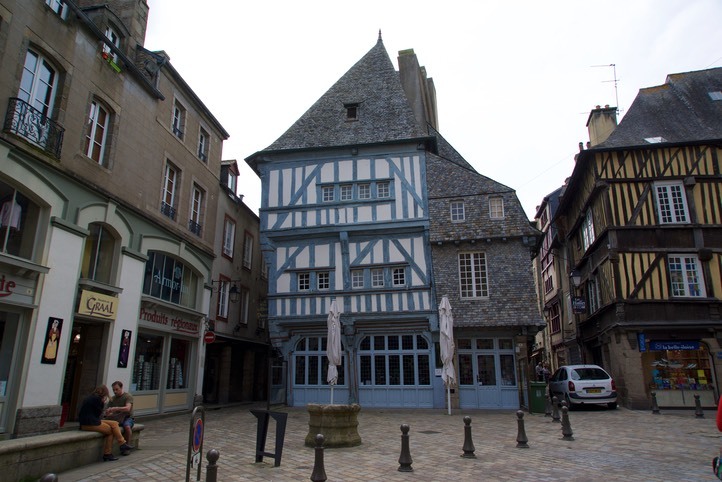 Having flown into Rennes Andrew and I collected Cathy and Jim from the airport and enroute back to Katherine in St Malo gave them their first glimpse of a french township with a visit to the medieval rampart enclosed town of Dinan. Wondering the cobblestone streets with its half-timbered houses with unique angles was certainly a special introduction to France. Back in St Malo Cathy and Jim were equipped with a map and set off to walk the ramparts and cobblestone streets of the historical village before returning and settling in for their first night onboard. Leaving St Malo on Wednesday 8th June was a little like when we had arrived -very poor visibility. Unfortunately on this day the fog was determined not to clear and there was little to be seen of the coastline for the entire 30nm mile sail to St Quay-Portrieux. St Quay harbour had the most helpful staff and was fringed with several good restaurants of which we took full advantage of. The pretty town lay just a short walk up the hill and overlooked the beach and rock pool. The coastline walk back to the harbour certainly confirmed the force of nature of the Atlantic ocean on this area with one road being quardoned off as it was in danger of slumping back into the sea. Katherine ended up sitting in St Quay for six nights. With the weather not being the most comfortable to continue west we arranged to take the train to Paris. Just a slight diversion from sailing. Our accomodation was at the Best Western Saint Honaire at the doorstep of the Louvre and just a short walk from the metro. 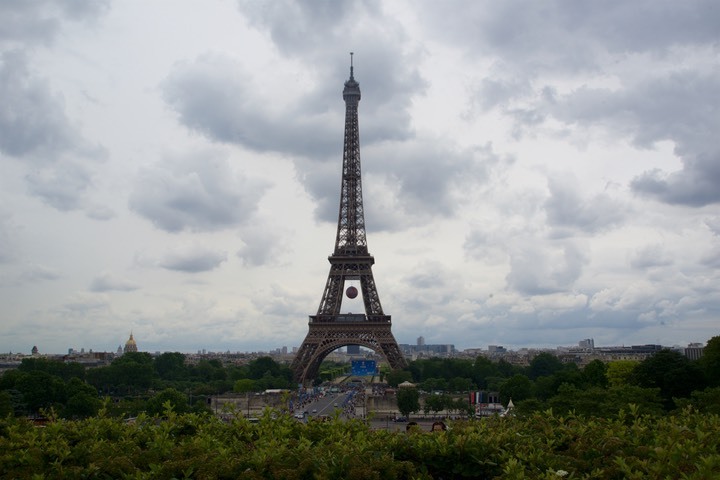 It really proved to be a great location from which to spend our three short nights in Paris. On Day 1 after a circumnavigation aboard the Hop on Hop off bus we ticked off the Eiffel Tower, Arc De Triomphe and walked the Champs-Elysee. With rain setting in on day 2 we headed indoors starting with Notre Dame the cathedral commissioned in 1159 and built over two centuries. We stopped to appreciate the architecture of the Grand Palais built between 1897 and 1900 but were left in wonder of the exhibition by Huang Yong Ping an artist born in Southern China but now a French resident who creates art to invoke thought. 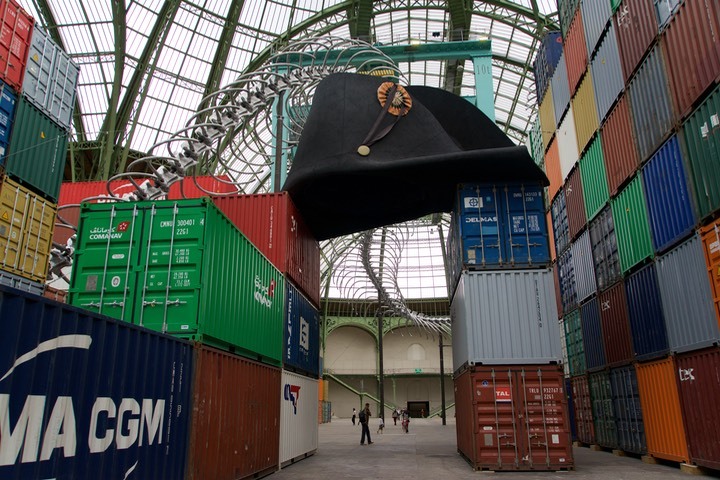 Art work certainly is open to interpretation particularly this one with shipping containers, an oversized snake skeleton and Napoleons hat. Our educational tour was continued with a visit to the Museum of Natural History and a walk around the area of Moulin Rouge. We opted for the evening restaurants to be found by wandering and using the criteria no cane chairs, small and tucked away. Be it good luck or good criteria we found within walking distance of the hotel three great tiny restaurants all with atmosphere and superb food. Back onboard Katherine we headed out of St Quay Porttrieux for Ile De Brehat. 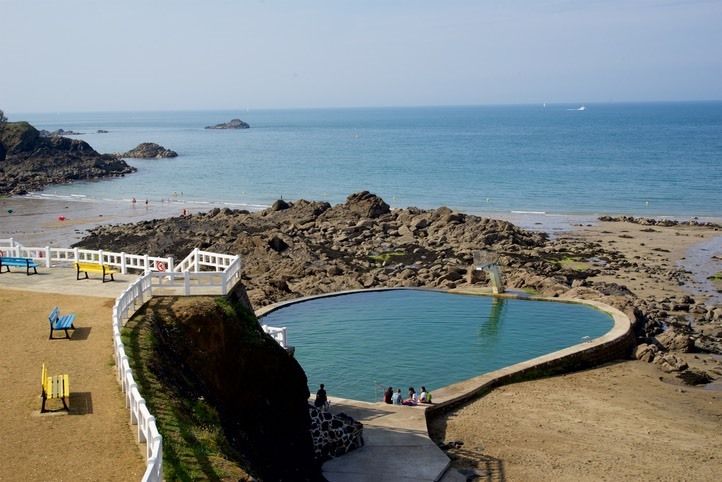 lle De Brehat is a small island, two in fact that sit about a mile off the Brittany coastline in the Cotes D Armour region. It had been recommended by several people that we stop here and we were so taken by the scenery that we stayed two nights on anchor. Cathy did her best to contribute to the local economy investing in everything striped. The island reminded us very much of the Scily Isles with palm trees, old stone cottages, beautiful beaches and gardens and plenty of picturesque walks. From here we continued to hop west. 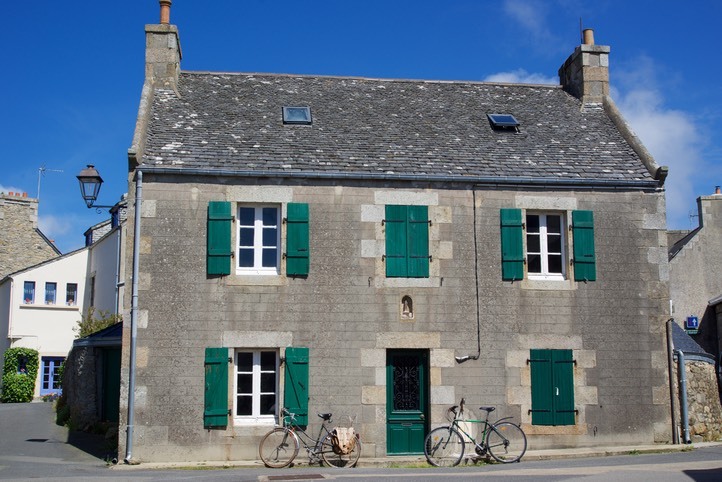 First to Roscoff an understated harbour town with the best kept gardens we have seen to date. L'Aberwrach a more residential community and finally into Brest Marina Du Chateau. Here we farewelled Cathy and Jim after what had been a very enjoyable two weeks of cruising.